Champion trainer Willie Mullins yesterday unveiled a star-studded team for next week’s Punchestown Festival at a media morning at his Bagenalstown stable in County Carlow. Mullins has dominated recent renewals of the Irish National Hunt Festival, taking place this year from Tuesday, April 24 to Saturday, April 28, and trained 12 winners in both 2009 and 2010. Last year Hurricane Fly was the highlight of Mullins’ seven winners, when storming clear to win the Rabobank Champion Hurdle by five lengths from stable companion Thousand Stars. 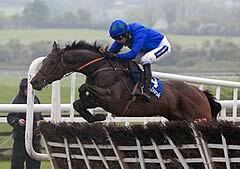 That victory crowned a brilliant unbeaten campaign for Hurricane Fly, who also won the Champion Hurdle at Cheltenham. But, after a facile success in this year’s Irish Champion Hurdle, he finished only third at Cheltenham and Mullins is hoping that the Montjeu gelding can land his third victory in the Rabobank Champion Hurdle on Friday, April 27, although he sees Cheltenham runner-up Overturn as a strong rival. "Hurricane Fly will run in the Rabobank Champion Hurdle but that is going to be a tough race with Overturn confirmed to be coming over,” said Mullins. “Maybe Zaidpour might also run, I'm not sure, and we will have to see how Thousand Stars is closer to the time." The brilliant mare Quevega will chase a remarkable third consecutive success in the Ladbrokes.com World Series Hurdle on Thursday, April 26. Following a fourth consecutive victory in the David Nicholson Mares’ Hurdle at the Cheltenham Festival, she is set for a titanic clash with Voler La Vedette, who ran the race of her life when finishing second to Big Buck’s in the Ladbrokes World Hurdle at Cheltenham, and Mullins revealed that he could field a big field in the three-mile contest. “I am sure Quevega will go to the Ladbrokes.com World Series Hurdle,” said Mullins. “I have had four or five that have ran in that type of race all season as they had no other options, the likes of Mourad, Mikael D'Haguenet, So Young and Zaidpour. We could have two or three in that race or maybe even a fourth as it is their last race of the season." Mullins also has a solid contender in the tote.com Punchestown Gold Cup with the Irish Hennessy Gold Cup winner Quel Esprit heading his three entries. 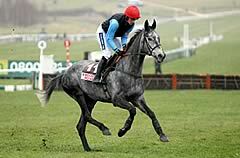 The grey is unbeaten in three starts over fences and Mullins reported that he is back to his best after missing the Cheltenham Gold Cup when failing to impress in his final workout before that race. “Quel Esprit will probably be our only runner in the tote.com Punchestown Gold Cup. We are happy enough with him at the moment. Obviously we weren't quite happy over there (Cheltenham), but all his riders have reported that he is good so far,” added Mullins. Many felt that Sir Des Champs could be a future Gold Cup performer after the French import completed a four-timer at the Cheltenham Festival with a scintillating performance in the Jewson Novices’ Chase. 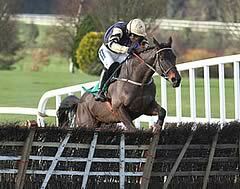 He is now set to step up to three miles in Growise Champion Novice Chase at Punchestown on Tuesday, April 24. "Sir Des Champs has appeared to come out of Cheltenham well and hasn't been doing much since then, but did do a nice piece of work yesterday and he will do another couple of little bits before Punchestown,” said Mullins. “We think he has more in the pot and is a dual Cheltenham Festival winner now (having also won last season’s Martin Pipe Conditional Jockeys’ Handicap Hurdle). "Call The Police and Bishopsfurze have had light seasons and can probably take another run so they may also run." Boston Bob was one of Ireland’s big hopes in the build up to this year’s Cheltenham Festival after two impressive displays in top company but slightly disappointed when only second in the Albert Bartlett Novices’ Hurdle. He will bid to end his season on a high in the Irish Daily Mirror Novice Hurdle, upgraded to Grade One status this season and taking place on Wednesday, April 25. Mullins could also run other smart novices such as Felix Yonger, like Boston Bob owned by Graham and Andrea Wylie, Allure Of Illusion, Midnight Game, Simenon and Terminal at Punchestown. “Boston Bob will go for the Irish Daily Mirror Novice Hurdle,” he added. “I would be keen to keep him and Felix Yonger apart, all being well, as they are in the same ownership. "Felix Yonger will probably go for the two and a half mile Cathal Ryan Memorial Champion Novice Hurdle (on Friday, April 27) after his good run in Cheltenham and I have been happy with him since. "Allure Of Illusion would look on course for the two-mile Evening Herald Champion Novice Hurdle (two miles) on the opening day (Tuesday, April 24). “I also have Midnight Game in that who has disappointed me a little but I would think we will let him take his chance as it's the end of the season. “At this stage, I would say Alure Of Illusion is a definite, and we will have a look at Simenon and Terminal for that also. I would hope to run two or three in this race." Speaking about his other hopes for Punchestown, Mullins concluded: "We have a good team for the Setantabet.com Handicap Hurdle (on Saturday, April 28), with us holding 11 entries for that race at the moment and we'll take a closer look at that over the weekend. "Mozoltov, Pique Sous and Champagne Fever are all in the betchronicle.com Champion Bumper (on Wednesday, April 25), but one of them may be held back for the winners’ bumper the following day. "Uncle Junior likes Punchestown and he likes the good ground as well and he'll be one of the horses I will enter in some of the cross country chases there throughout the week. "Cooldine is another who might go for that type of race and Shakervilz also." Remaining unsettled with showers and sunny spells today. Mixed weather for the coming days and over the weekend with sunny spells and showers (3-5mm rain forecast each day). Remaining unsettled into the early days of next week. There was 8mm of rainfall on Monday night and 2mm of rainfall on Tuesday night.